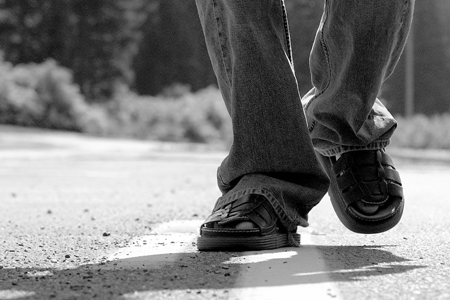 As a follower of Jesus Christ, your journey begins with your first step. Stop by Guest Services or contact us about your decision to step into a relationship with Jesus Christ and we will help you get started on your walk with Christ. In this part of the discipleship process we will pair you with a coach who will help bring you through the Bible. This is so that you can be grounded on the basic doctrines of the Christian faith. Topics covered include: God, Trinity, Salvation, Baptism and more. Baptism is an outward expression of what has already occurred inwardly. Anyone who desires to be baptized may do so after completing First and Next Steps. Please contact us so we can schedule your baptism. The "Servant Leader" material is ready for anyone who has completed First and Next Steps. If you are interested in going through Lead Step please contact us. 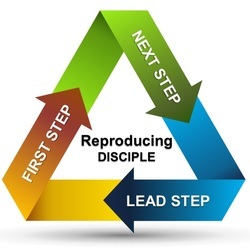 Begin your journey now and become a disciple who reproduces.